There is a large amount of mystique around the act of wine tasting; some of it bearing a heavy layer of pretension. I thought it might be helpful to write a post that gives some simple guidelines to enjoying wine-tasting. I recognize that for me to write an article on reducing pretension is an act of irony and that I need to get that observation in before California Girl chimes in. Photographs of wine-tasting inevitably seem to feature participants with their noses in the glass. This may help visually distinguish between tasting and drinking of wine. However, smelling the wine does play an important role in the tasting. The taste-buds can only detect four of five basic tastes; most of what we experience as flavour relies on the smell as well as the taste. 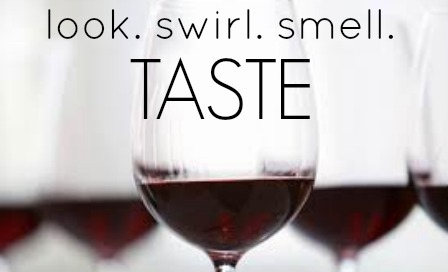 Much of the subtlety in a wine lies in the smell. The swirling of the wine around in a glass may also seem an unnecessary delay to the process of tasting it, but there is a good reason for so doing. The action brings air into the wine; this causes evaporation of the alcohol, enhancing the smell and hence the flavor. If you think this sounds like pseudo-science nonsense, then try smelling the wine as soon as it is poured into the glass, swirl, and then repeat the smelling. The aroma of the wine will have changed noticeably. 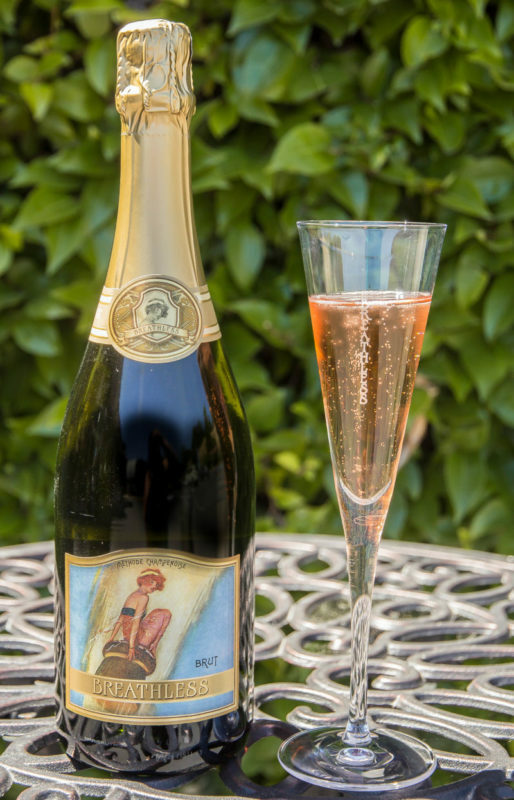 Swirling is not necessary with sparkling wine, as the bubbles create the necessary evaporation. 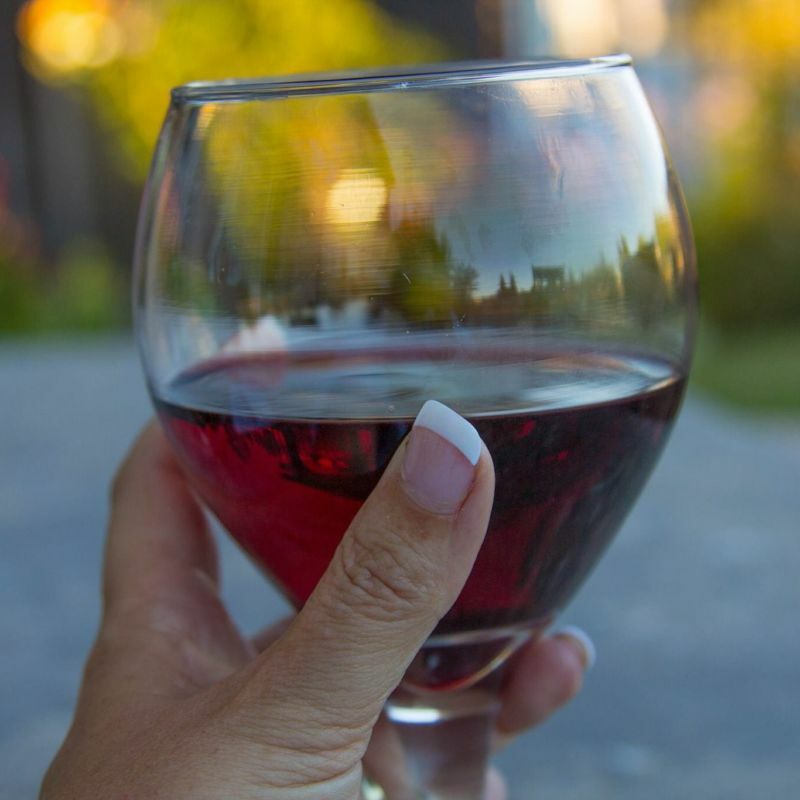 I would also recommend placing the glass on a hard surface as you swirl; this may look less impressive than swirling the wine as you hold the glass up to stare at the wine, but is less likely to result in spilled wine. Your white shirts will thank you. You will hear much mention of tannin from those who taste wine. You will even see that term used in our own tasting reports. Tannin in wine come from the skins of the grapes and give a wine the dry mouth feeling. The colour of red wine is created by leaving the skins in as it ferments, so red wines tend to have more tannin than white. The tannin acts as anti-oxidants, which help preserve the wine; thus red wines tend to last longer. 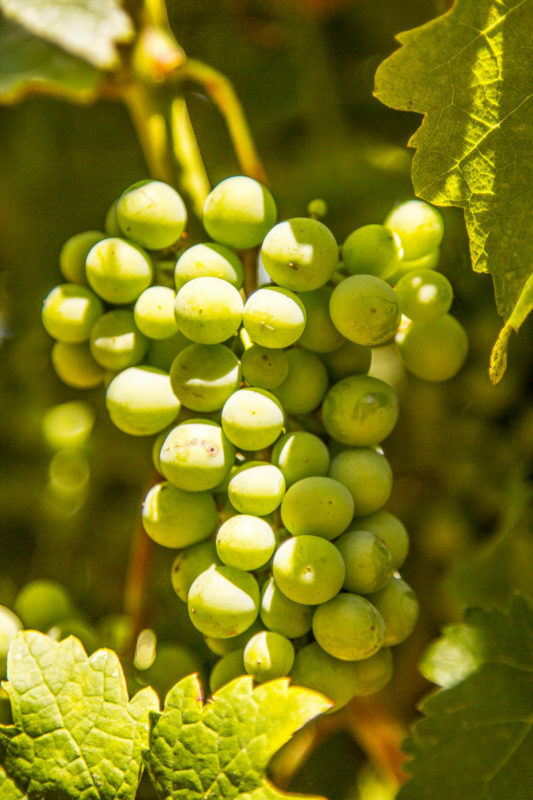 Over time the tannin will soften, the wine will taste less dry, this is a key part of why wines like Cabernet Sauvignon which start with heavy tannin have a flavour that improves as they age. Never wash your glass out with water between tastes. You will leave small traces of water in the glass that will dilute the next tasting in a very noticeable manner. 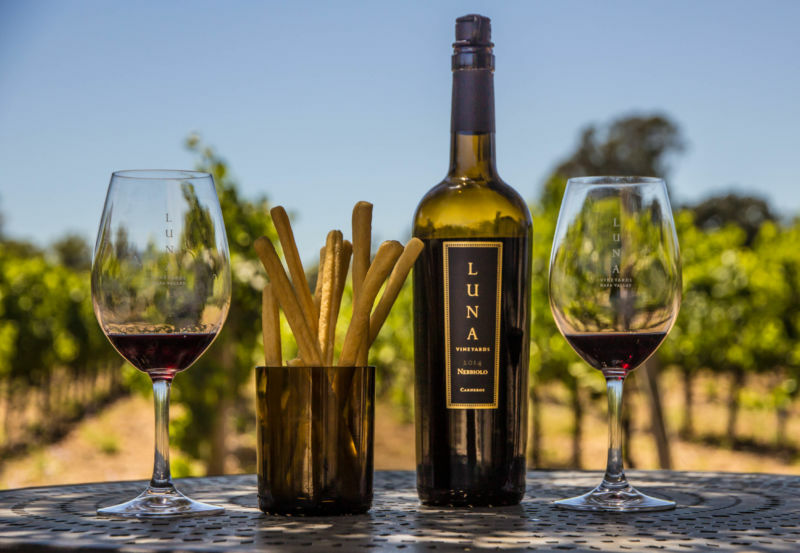 Some wineries offer a fresh glass with each taste, but this is an exception. If the host is going to wash out a glass they will often use a rinse of the wine that they about to pour. Taking sips of water or eating a few bites of a flavor neutral snack such as water-biscuits (crackers in the US) or bread-sticks helps clear the palate of the previous wine and help you taste the next one. 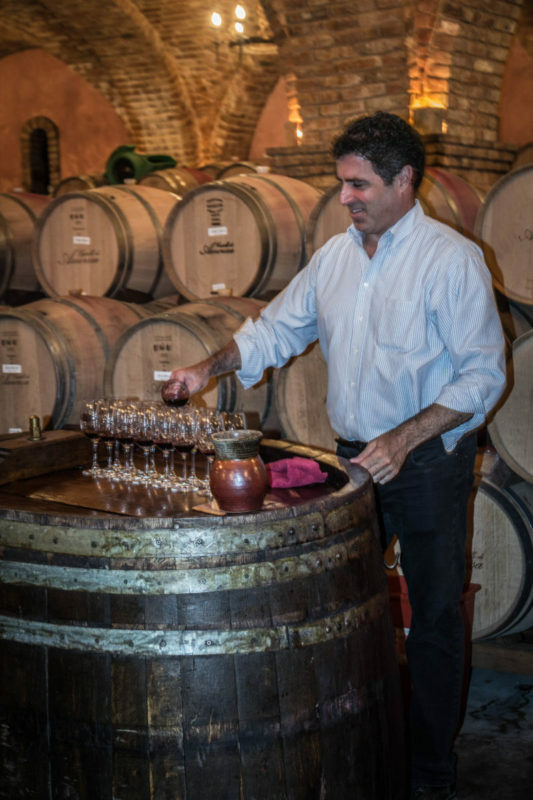 Most wineries will provide one or both options with your tasting. California Girl Comments: I have several things to add to this post. 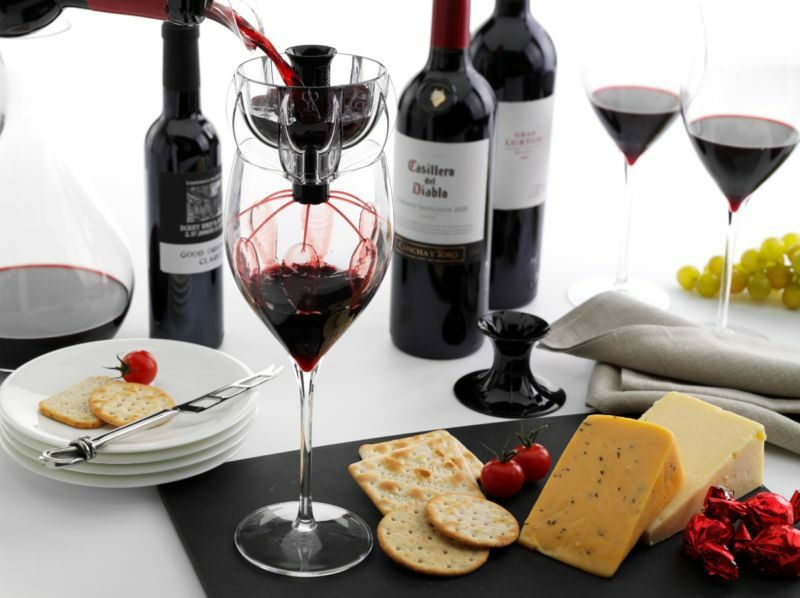 Have you ever wondered what all of those gadgets people have for their wine bottles or wine glasses? They are called aerators or breathers. They do just what they sound like they do. They push air through the wine. Why would that help? Well, it gives the chance for the molecules in the wine to open up so the full flavor can come through. I can’t tell you how many times I have poured myself a glass of wine thinking meh, only to take another sip of it 20 minutes later to a whole different taste of yumm. The wine changes its chemistry with the air. It is an amazing thing. Sure, there is the correct way to taste wine. It is sort of a slurping motion where the wine is spread over your taste buds. It looks very silly and sounds very gross (never mind the spitting out of perfectly good wine). For the average Joe like you and me this isn’t needed. The fancy words aren’t really needed either. Just close your eyes, inhale, and really think about what you are smelling. Do you smell raspberries? Plums maybe? Is it tart or soft? Maybe it’s acidic and bold. You don’t have to get fancy. You can just say you like it. The great thing about wine is it is personal. It is all up to you. Wine doesn’t have to be expensive. There are plenty out there for under $10 that are stellar. Some that are over $100 I wouldn’t drink on a bet. Just taste it and see what you like. Wine is meant to be experienced and enjoyed. There is nothing pretentious about that.